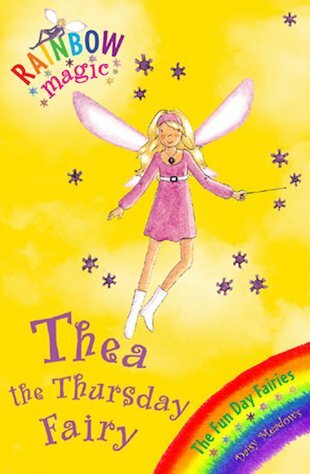 I am doing a review of my favourite book called: Thea The Thursday Fairy. In the story ( Thea The Thursday Fairy ) has to find her funday flag so the day is fine and nothing strange goes on. After, Kirsty and Rachel help Thea and in the end everything turns out ok for Rachel, Kirsty and everyone else in the world.